Does change seem to elude you? Fed up with the endless diets, pills or patches? Sick of the vicious cycle of start- fail -start- fail? Are you ready to change in a way that will actually address YOUR core issues? 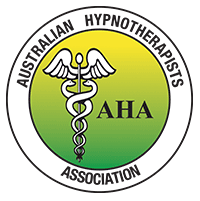 My name is Graham and I am a professional, dedicated Melbourne hypnotherapist, personal trainer and martial artist. I will work with you, through a multitude of therapy techniques to make sure you get the results that you deserve. I work with you with multiple therapies so that you achieve success long term. As a client of mine you can receive advanced hypnotherapy to change the sub conscious part of your mind, Neuro Linguistic Programming to “rewire the brain” so that you change the way you think and think from a positive point of view, Qi gong to make sure that your body is operating optimally, Emotional Freedom Technique to eliminate cravings, addictions and emotional baggage and if desired, personal training and martial arts to enhance your fitness and break through barriers. Tried Fad diets, yo yo ing, the biggest loser style exercise that makes you vomit (literally) and never attempted them again? Think back to the last time you tried to quit smoking... Why did it fail? Did you struggle with cravings and withdrawal symptoms? Is lack of confidence and shyness ruining your life? Are you sick of blushing? I’m happy to say iv’e remained smoke free thanks to the hypnotherapy. I can’t thank you enough mate. I even went out with my partner into the city for a bit of a night out and didn’t even think about ducking outside for a quick smoke. I have every confidence that I will remain a non smoker & I am already enjoying the benefits, financially, physically & mentally.I can’t say thank you enough & I can’t wipe this ridiculous smile off my face.